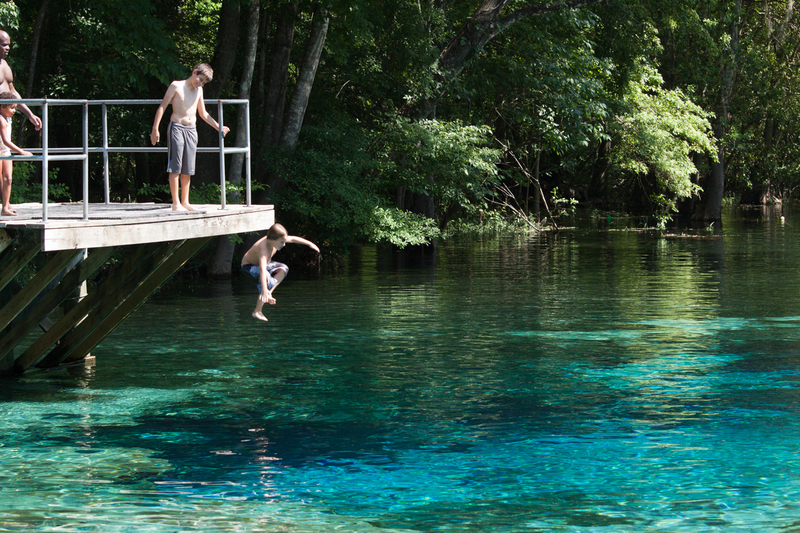 Gilchrist County has many spring-related parks along both the Suwannee and Santa Fe Rivers. 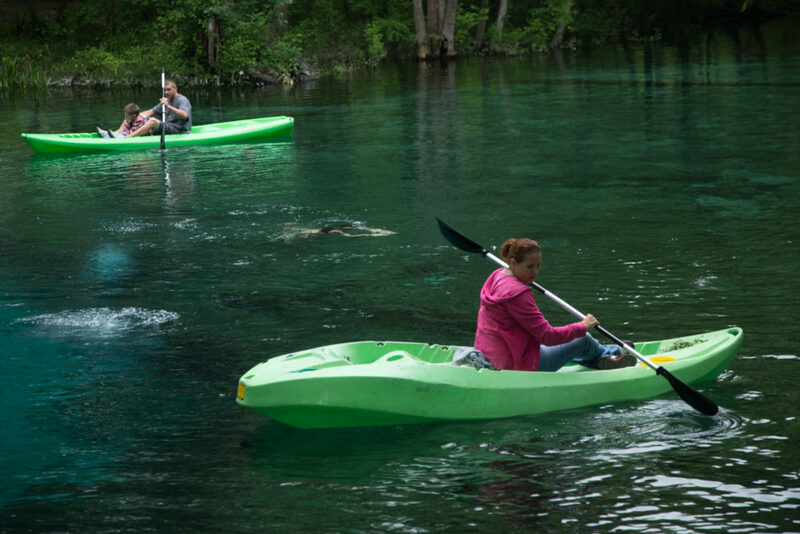 Ginnie Springs Park, near High Springs off CR340 is private, with lots of Santa Fe River shoreline and several springs. It’s busy, but well organized and is a destination appreciated by the “younger” crowd. Blue Springs Park, just up the road from Ginnie Springs, is quieter and has recently been purchased by the State of Florida and is destined to become part of the State Park system. 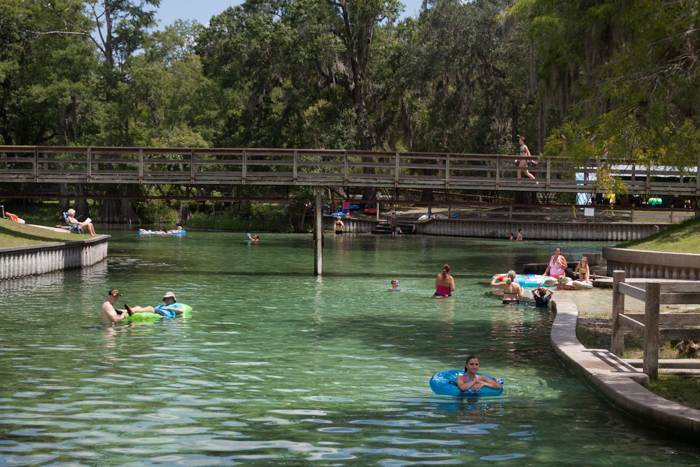 But with a hot summer here and hordes of folks heading to the water, there are two excellent options for a cool, 72-degree, dip into one of Gilchrist County’s springs. 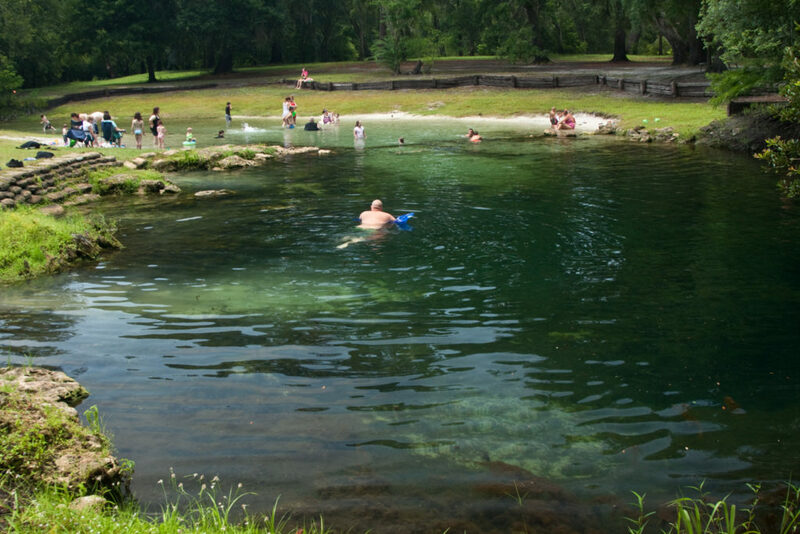 Otter Springs Park and Hart Springs Park are located on the Suwannee River, just upstream from the crossing at Fanning Springs and US19/98. If you head north on CR341 from the Wilcox Curve on SR26, you’ll see directional signage. 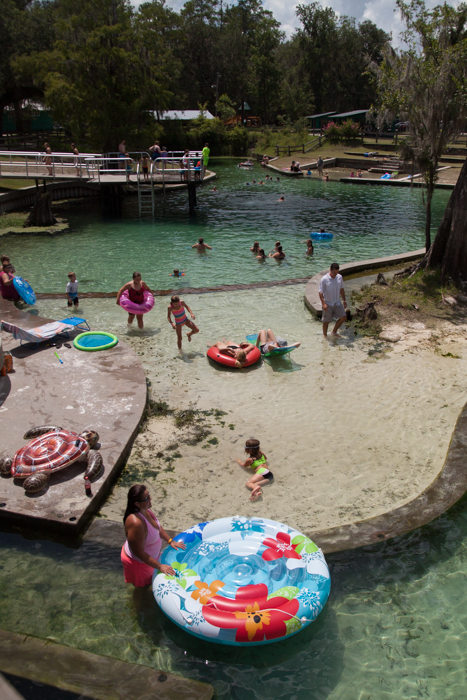 Otter Springs Park is a comfortable campground with a “swimmin’ hole”. The spring run from Otter Spring to the Suwannee River is a fun and easy paddle! Hart Springs Park is larger and a bit more developed than its neighbor, with seawalls, canoe/kayak/tube rentals and several spring vents. There are also some very nice shallow sandy enclosures for the kids as well as a “water park”. You may also access the park by powerboat from the Suwannee River.